Happy 2016: Ten Years, A Pigeon. So, 2016 is just around the corner, and it’s a year I am very much looking forward to. Amazingly, 2016 is the tenth anniversary of Pigeon Blog! Yep. I’ve been telling it how it is for pigeons everywhere for ten whole years. Mental. Have to say, it’s flown by. Incredible to think that when I first started, tablets didn’t exist, phones were most definitely NOT smart, and there were absolutely no Gs involved in any mobile coverage. Everything back then was much, much slower. As you can probably tell, I’ve been doing a lot of looking back over the years recently, hence the lack of up-to-date posts. Sorry about that. The reason is I’m working on a little something to celebrate being at it for ten years. Watch this space. Exciting. Anyway, enough of the past. What about this New Year’s Eve? 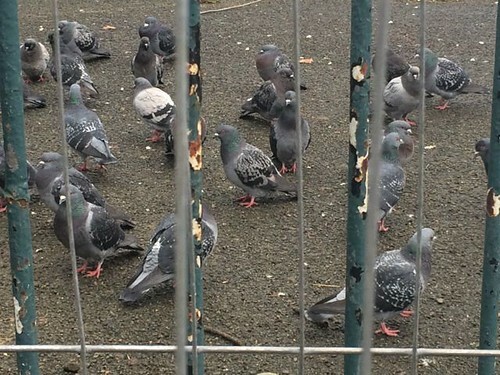 Pigeons are already gathering in Gunnersbury Park. Good times. We’re planning on an Acton flyabout later hoping to find some sort of spillage or another. Anyone in the W3/W4 area fancy leaving us out a little saucer of something special, it would be much appreciated. Personally, I’m not a fan of the Stella, but anything else. Craft beer would be nice..? Looks like Jerry on the left is well on his way already! So, a big up to 2016 everyone. May it be everything it should be. 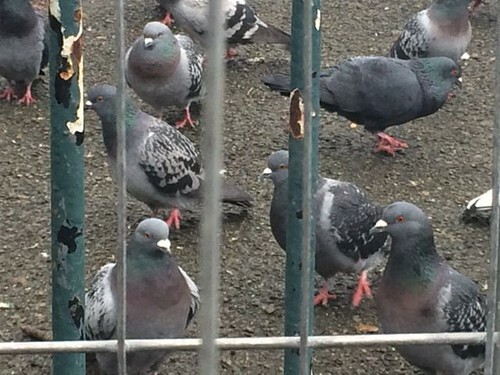 Your good pal, Brian Pigeon. Thanks for your pigeon posts for all these years. Have a great New Year mate. December 31, 2015 at 3:53 pm. Permalink. Keep it going man! Have a great 2016. December 31, 2015 at 4:10 pm. Permalink. December 31, 2015 at 9:23 pm. Permalink. Has it really been ten years?? Oh Brian Pigeon, Happy New Year! December 31, 2015 at 9:35 pm. Permalink. I wish you a great 2016, Brian Pigeon! January 2, 2016 at 4:36 am. Permalink. Ten years? Fantastic and well done, Brian. Thank you for sharing the exciting events of your life in the UK. I wish you and all the gang in all the parks and seaside resorts of Britain a splendid new year and may the air flow gently under your feathers and lift you up to greater heights. Blessings from the mountains in South Africa. R.
January 3, 2016 at 7:06 pm. Permalink. January 3, 2016 at 7:17 pm. Permalink. A terrific, seedy, birdy new year to you Brian! January 13, 2016 at 6:00 pm. Permalink. January 18, 2016 at 7:32 pm. Permalink. Brian! love the name. I would be very interested in exchanging links with you for http://cattree.uk ? How do I contact you? March 2, 2016 at 7:20 am. Permalink.